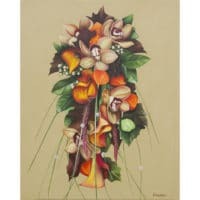 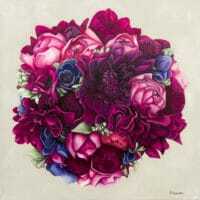 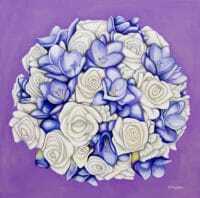 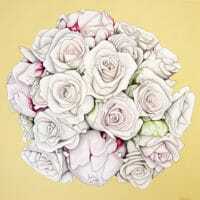 Jess’ Bridal Bouquet is an original acrylic commissioned by one of Jess’ friends for her birthday. 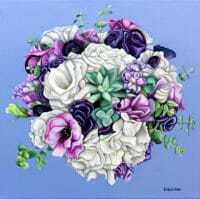 Jess had gotten married the year before and my client thought it was a lovely idea of giving this keepsake of the wedding flowers as a birthday gift. 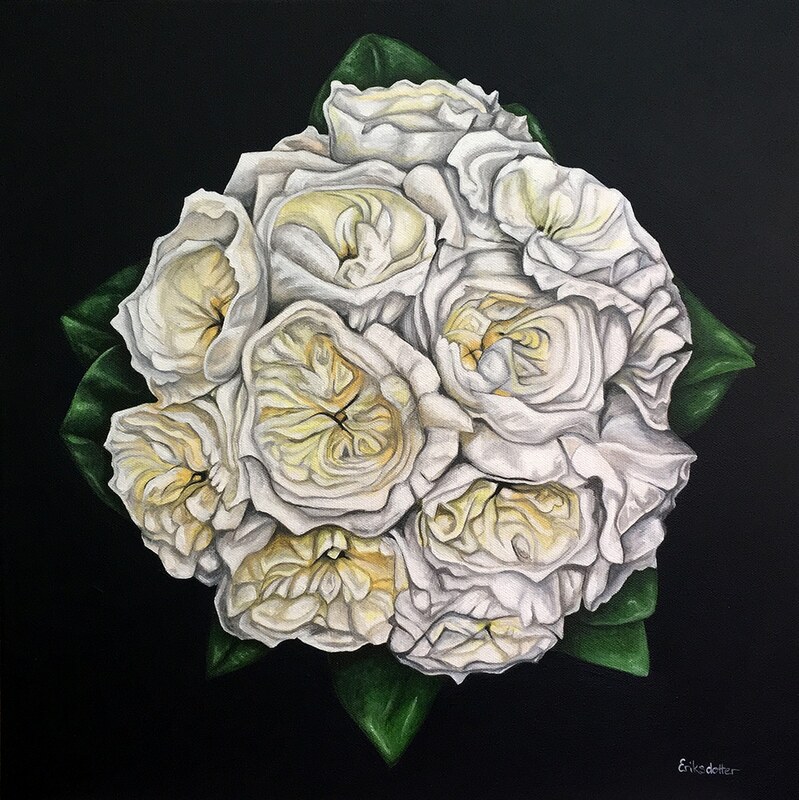 My client and I worked through a few different color versions for the background, and ultimately went with one of the wedding colors – dark navy.